Can anyone put a price on your memories? I do not believe there is a price in the world for memories. Did you know specific ingredients in supplements called “Nootropics” can safely and naturally prevent memory loss? Let me show you how a Nootropic could help you solve memory loss problem. If there has been one trend in the health world for 2018, it would be Nootropics. They started to become popular when people claimed their memory and cognitive abilities improved once they started to take a quality Nootropic supplement. Although the benefits are clear, the name is quite mysterious. What exactly is a Nootropic? Nootropics are supplements designed to enhance memory by increasing blood flow to the brain. I interviewed our staff doctor, Dr. Jose Lizardi, to give me all the facts on Nootropics. Let’s get down to the details! Bottom Line- Nootropics are designed to enhance memory. Below is a review of the ingredients in supplements to boost memory and cognitive function. You may have seen Ginseng tea, but did you know Ginseng promotes mental clarity? 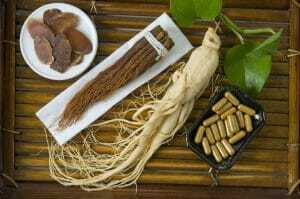 Dr. Lizardi clarified there are three different types of Ginseng root that quality nootropics should include: Panax Notoginseng, American Ginseng Panax Quinquefolius and Cereboost American Ginseng. Cereboost American Ginseng can also be called “Chinese Ginseng.” The main benefit of Ginseng is that it acts an ant inflammatory for the whole body. According to Dr. Lizardi, this is what makes Ginseng an essential ingredient in any quality nootropic. By decreasing inflammation, blow can flow to the brain and promote healthy cognitive abilities. Bottom Line- Ginseng is an effective anti-inflammatory. This is what Ginseng looks like. Breviscapine is an adaptogenic herb that supports healthy blood flow. (1) It is also known as Erigeron Breviscapus. Per Dr. Lizardi, Breviscapine was originally used in ancient Chinese medicine. Modern research shows that this herb plays a role in supporting strong memory retention, clear thinking, and healthy levels of blood flow to the brain and genitalia. You could say it is an ancient Chinese secret! Bottom Line- Breviscapine supports overall healthy blood flow. Bottom Line- Epimedium Extract promotes healthy blood flow to the brain and genitalia. Noto Bravi is an all natural proprietary blend of adaptogenic herbs, epimedium extract and panax notoginseng. It is designed to support healthy blood flow to the brain and help you remember all the items on your mental list. Bottom line- Noto Bravi is the first natural Nootropic to combine the 3 main ingredients. What makes Noto Bravi unique is the way it is constructed. It is built using Quicksilver Scientific “Liposomal Technology.” The purpose of this technology is to ensure the adaptogenic herbs bind to a fat. Let me explain how it works. If a vitamin or mineral does not bind to a fat, it will not be absorbed into the bloodstream. Liposomal technology is created with fatty acids in the extract liquid to ensure the highest percentage of bioavailable nutrients to the bloodstream. The more nutrients absorb into the bloodstream, the stronger your health. If you do not take a supplement with a fat, Dr. Lizardi says the vitamins and nutrients cannot bind to anything and will not absorb. The result are vitamins and nutrients that do not absorb into the bloodstream. Quicksilver Scientific Liposomal technology takes the work out of pairing a food with a fat, they do it for you! Liposomal Technology is truly innovating the world of health! Bottom Line- Quicksilver Noto Bravi is paired with a fat in the extract liquid to increase absorption levels. Healthy memory is one pillar in a healthy lifestyle. Ginseng– An herb that reduces inflammation in the brain. When you decrease inflammation, blood flow increases. Breviscapine- Ancient Chinese Secret that supports overall blow flow in the body. Epimedium Extract- Also known as Liquid Horny Goat Weed, this herb promotes blood flow to the genitalia and to the brain. Noto Bravi is the first proprietary blend of Ginseng, Breviscapine, and Epimedium Extract. What makes the supplement unique is the way it is made. Quicksilver Liposomal Technology ensures the highest absorption rate by pairing the herbs with essential fats in the extract liquid. When vitamins and minerals are bound to a fat, a higher degree will be absorbed in the bloodstream. Thank you for taking the time to read Ingredients in Nootopics to Enhance Memory; Benefits of Noto Bravi. We hope you discovered the benefits of Noto Bravi!